Your customers may already be familiar with your brand, but what about the people behind it? You are more than just a pretty logo, so show your audience your human side with the power of video. Try filming some behind-the-scenes footage or doing a weekly employee showcase. When people are able to see the personality behind the brand, they’ll feel a much stronger connection. Film demos and how-to clips. People love to see products in action, so give them what they crave by filming how-to and product demos. Why are these so effective? Because people are busy. They don’t have the time or desire to page through endless lines of text to figure out how to use your product. 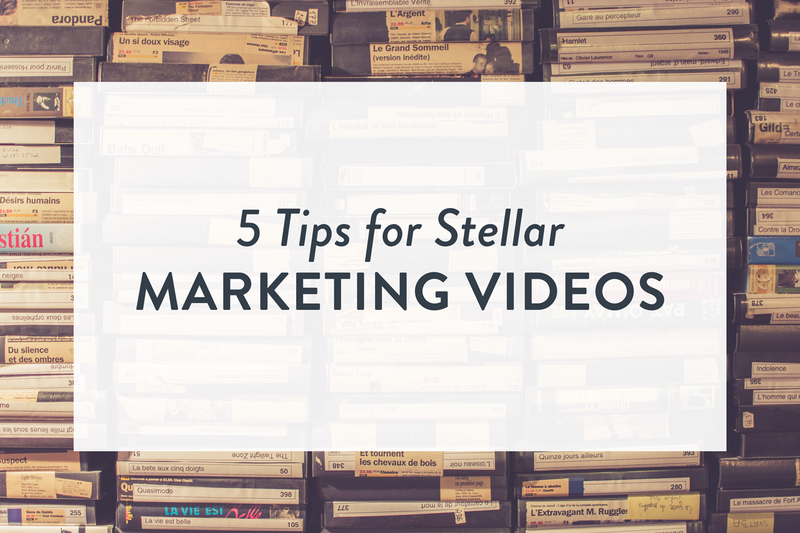 Video content is visually appealing, easy to digest and best of all, super shareable. Tap into your customer base. What better way to tell the story of how stellar your product or service is than to have a happy customer demonstrate it on video? User-generated content can be valuable for a number of reasons. First, it provides you with content to share that is, in and of itself, also shareable. Second, it serves as social proof, a powerful marketing motivator. And third, it’s a fabulous way to engage with your audience on a more personal level. Bring testimonials or case studies to life. Speaking of social proof, nothing boosts the confidence of prospects more than an existing customer singing your praises. Written testimonials and case studies are great, but bringing them to life with video is way more powerful. Ask your biggest brand advocates if they would be willing to share their positive experiences with your product or service via short video clips and then share away! As much as you’d like to, inviting every single one of your customers to join you in person probably isn’t feasible. Thanks to today’s technology, now you can do the next best thing – invite them to join in via live streaming video. Facebook and Instagram both have super easy to use and effective live broadcasting features. You can stream an event, or do something more intimate, like hosting a live Q & A session. The key is to promote your live broadcast in advance so that people get excited to join in. Given the fact that 85 percent of US internet users are watching videos on a daily basis, the opportunity for businesses to reach more prospects and connect with their customers through video content has never been greater. The five simple strategies above should help you start leveraging this powerful marketing tool for your own business today. Is a Podcast Right for Your B2B Business?